CRAFTISAN® is a mission driven social enterprise that operates an ethical online, curated art and craft platform, enabling market linkages between producers and buyers, eliminating middle layers and ensuring product authenticity and source transparency. CRAFTISAN® links producers and consumers through an online commercial platform where all content is curated and presented together with a background story. CRAFTISAN® uses technology to aggregate previously fragmented producers in a repeatable and scalable manner, thereby equalizing opportunities for producers and democratizing the informal creative and cultural industry through direct market access. CRAFTISAN® eases access to markets for local producers, stimulating local growth and employment while increasing the producers’ independence of centralized corporations with dubious labor conditions. Handlooms and Handicrafts employ an estimated 11 million people in India’s 2nd largest employment sector, namely the creative and cultural industry. On one side, the producers lack access to buyers and rely on many middle layers with each taking a cut of the price, resulting in rock-bottom prices for producers. On the other side, consumers have difficulty judging the quality and authenticity of handmade artisanal products due to lack of transparency in the market. CRAFTISAN®’s business model is innovative due to its transparent, democratized and inclusive approach to simplify and streamline market linkages. 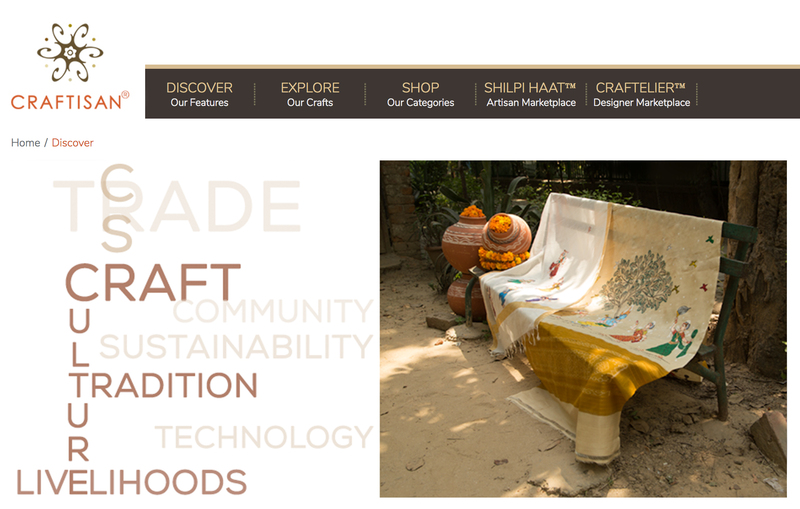 In contrast to existing retail and e-commerce focusing on just the product, CRAFTISAN® provides a content-rich, immersive exchange experience for the consumer in celebrating and promoting the philosophy of handwork. For the producer, CRAFTISAN® provides a full-service solution, including branding, story and content writing, social media outreach and digital marketing. Launched in 2013, CRAFTISAN® has expanded considerably. Currently, the online platform features partnerships with 64 NGOs, Self-Help Groups, Craft Clusters and 170 individual artisans and master craftspeople. The online platform showcases 103 different art and craft forms from 87 different regions, impacting more than 300,000 livelihoods. CRAFTISAN® employs 12 people, who carry out product mapping and run the online platform and operations. To date, CRAFTISAN® has self-financed its operations and has also received funding for specific project interventions (e.g. special application of its technology platform, financial inclusion, and capacity building).